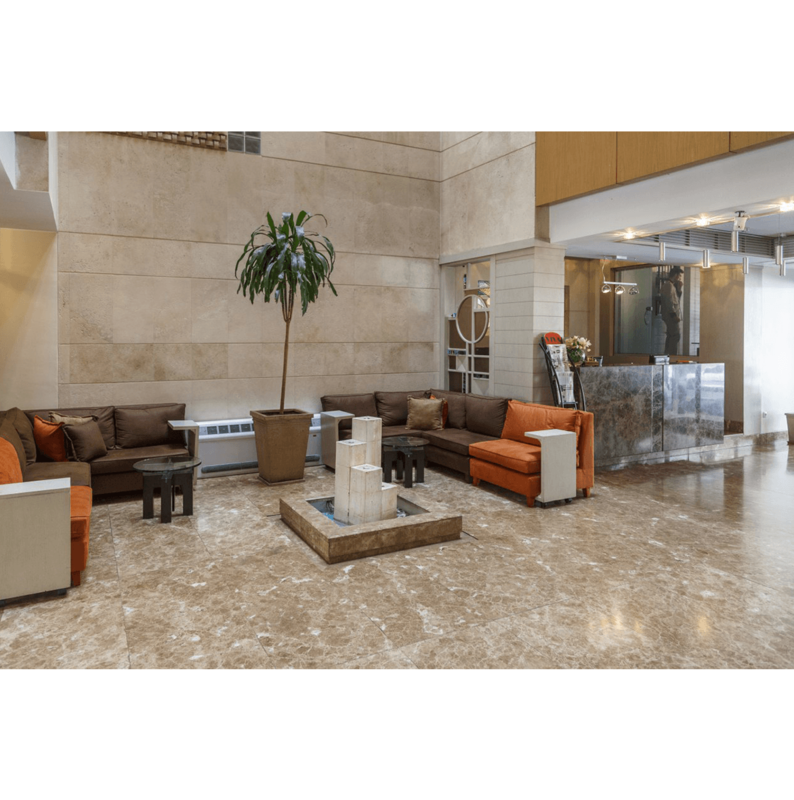 The 3-star Saina Hotel Tehran is located at no 60 Fathishaghaghi St. Away from the bustle of Tehran in the residential neighborhood, yet close enough to the city center. It is a family run hotel, therefore you can actually feel home although you are miles away! 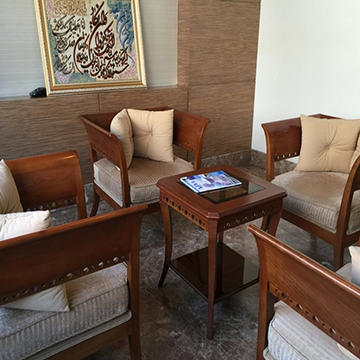 Saina Hotel Tehran may be a little far away from historical sites, but it is not a problem! In spite of the distance, the public transportation accessibility is a charm! 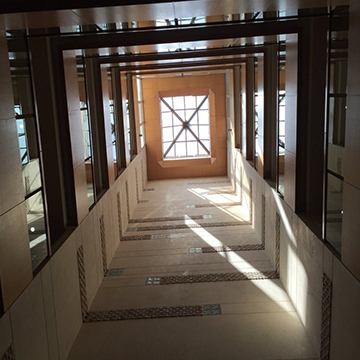 With a 5-minutes walk, you can get to Meydan-e Jahad metro station on line 3. From there, you have easy access to Valiasr Sq., the heart of Tehran. BRT line is also available nearby. 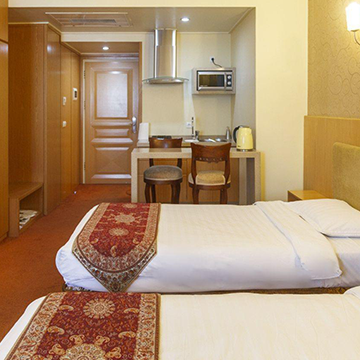 As a 3-star hotel, Saina Hotel Tehran has many facilities to offer you. First of all, a delicious breakfast in a buffet restaurant. In the lobby, There are tables and chairs where you can sit and read a newspaper or play a game of chess. The hotel is pretty quiet, but if you prefer more silence, Choose a room at the back of the hotel, away from the street. After all, some people are light sleepers! Saina Hotel Tehran reception is 24/7h at your service, and you can use CIP service. If you don’t want to use public transportations, you can always rent a car (without driver) or simply ask for a taxi. Currency change is available at the hotel. Also, the hotel offers a half-day tour in Tehran. Saina Hotel Tehran is a kid-friendly hotel too. Hence, the children under the age of 10 can stay free of charge. So great for families with little ones! Every modern, modest and well maintained Saina Hotel Tehran rooms are equipped with minibar, drawers, safe box, LCD TV set, and phones. Added to these, you will find a private bathroom (with bathtub in some units), the western toilet, toiletries, and slippers. Also, some units have a wardrobe, tea maker, a small kitchen, closet and, desk. Simple and Easy VIP/CIP Transfer booking! We will take care of transportation from airport to Parsian Kowsar Esfahan. We always welcome you to Saina Hotel Tehran, 24 hours a day, 365 days a year. We know how important the internet is. We use it all the time for work, fun, and convenience. If you need a parking space during your stay, you can use our private parking lot. Perfect hotel and good restaurant!